This program ended on 09/28/2013 (SAT) 07:07 . High Resolution available X Japan × Nico Live 24-Hour Special + Yoshiki Live! This program ended on 09/28/2013 (SAT) 07:07. X Japan debuts on Nico Live at last! The legendary J-Rock band, X Japan will be rockin' Nico Live for a full 24 hours! 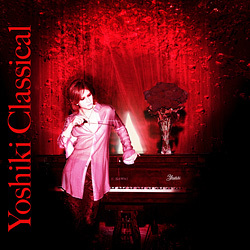 Yoshiki himself will be making a live appearance! This 24-hour broadcast is in celebration of X Japan's 6th live performance collection and Yoshiki Classical Blu-ray release! Here's the legendary performance lineup! at The GRAMMY Museum in the US. SEND X JAPAN YOUR VERY OWN MESSAGE! Tell X Japan how much you love 'em! the end credits of the 24-hour program. Details regarding the broadcast schedule for each event will be announced as they come. *Content updates will be performed regularly. You must register a free account in order to watch Nico Live. First-timers click Register New Accountand complete the registration process. Further, this broadcast is available in premium high quality. Get [Premium Membership] for perks like faster video loading, priority seating, and higher quality video. ▼Legendary live performances by X Japan reborn on Blu-ray!